You are here: Home / Law School Admissions / What Should I Do While I Wait for My LSAT Scores to Be Released? The past few days have been an unrelenting stew of emotions for recent LSAT takers: relief to be through it, anxiety about how you performed, and sleepless nights waiting on your results. For a lot of people—and fingers crossed you’re among them—the LSAT is a memory, and prep books and course materials can be discarded as you see fit. For others, it didn’t go as well as hoped, that fact is clear, and you’re going to have to retake without question. But what about those on the fence? What should you do if your retake is score-dependent and you’ve got another week or so without the information needed to make your decision? Limbo’s no fun but it doesn’t have to be squandered. Let me give you some brief advice on how to best spend that time. First, don’t waste it! Hopefully that goes without saying, but even if the LSAT is the final piece of your admissions puzzle—your personal statement is done, letters of recommendation collected, transcript and resume and essays and addenda all in order—the truth is the LSAT is the biggest piece of that puzzle and you may still need to improve it. Every day counts, and it’s far better to spend some time staying sharp these next few days/weeks only to find you didn’t need to (i.e. your score is acceptable), than to realize too late that you could’ve used the extra time to study and didn’t. If you think a repeat may be in your future keep prepping! Of course, you should still be smart about how you do so: really weigh the likelihood of a repeat, and base your efforts on that. That is, if you feel it’s likely you’ve reached your goal and the odds of a retake are remote, take it easy. Chill. A few hours a day (or less! ), a practice test this week (if at all! ), a chapter or lesson here and there…the idea isn’t to maintain the intensity you’re hopefully accustomed to—although as soon as you know you’re on for the next LSAT get back to it!—but rather to ensure that you don’t lose your edge or allow your skills to fade too much. 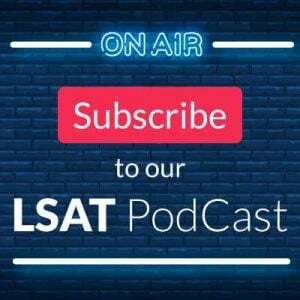 You should know at this point what it was about the LSAT that’s left you uncertain; make those concepts and issues your focus over the coming week-plus, taking steps to continue chipping away at them. Similarly, if you’re nearly certain a retake is in the cards—a miracle may save you, but that’s about it—then push yourself a little harder. Sure, if the miracle happens and you find out a few more days of hard work weren’t needed, well that’s a bummer. But I assure you the joy of being done will so overshadow the “wasted” time* that you won’t care. More realistically, you know you’re still short of where you want to be, you know you’re going to try again in a few short months…so you know you’ve got more work to do. Why wait? Now so far I’ve been pretty LSAT-centric (no surprise), focused on people for whom the LSAT is the primary concern. But if you’re not in the position I described above, with your application completed and ready to go once your scores are in, then it means you’ve got more than just this test on your plate. In which case you should also be using the coming weeks to get the other pieces of your apps in order. Write and rewrite that personal statement until it’s perfect. Go find professors or colleagues who can give you killer recommendations. Check off every requirement box for law schools like transcripts, additional essays, resumes, etc. so that you’ve got every facet neatly tucked away, ready for submission as soon as your score is in-hand. Don’t ignore your continued test prep, but do complement it with steady forays into non-LSAT admissions efforts. Finally, let me wrap this up with a point to consider after you’ve received your score. After you’ve received a desired score, in fact. The last thing anyone wants to think about is taking the test again once they’ve hit their target—that’s the whole point of this process, right?—but here’s the truth: you probably still have room to improve. You’ve probably left some points, some readily-attainable points, on the table. And the next two tests are your chance to go get them. Look, it used to be the case that rolling admissions was punishing enough that unless you were going to improve at least 2-3 on each successive LSAT it probably wasn’t worth it, and you should instead try to get your applications in early. But two things are now in play: (1) with fewer law school applicants relative to six or seven years ago, rolling admissions really doesn’t penalize you anymore, or at least not until the February LSAT (and even that’s extremely minimal lately), so even a 1 or 2 point gain can make the retake well worth it; (2) the odds that you do go up, especially if you keep studying and are diligent in the months to come, are very, very good! Statistically speaking, unless you’re into the mid-to-high 170s, or you do next to nothing prep-wise, you’ll likely score higher, sometimes significantly so, on a future test. Weigh the pain of more prep against the possibility of more points, and see where you come out. 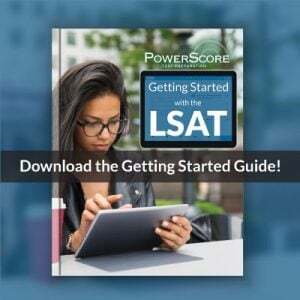 And if you’ve taken a PowerScore LSAT Course there’s more good news: you’ve still got access to everything from your course—materials, archives and virtual modules, practice tests and scoring, Online Student Center, LSAT Forum, this blog—until the next exam, so as dreadful as it may be to consider, there’s a lot to be said for giving it another shot. So I hope your score is everything you wanted and more, and the only thing left for you to do is wait for the acceptance letters to roll in. But if your journey’s not yet over, or if you realize a little more work might take you further than you imagined you could go, make the most of the days and weeks ahead so that your next attempt exceeds even your wildest expectations! *Keep in mind why law schools care so much about the LSAT in the first place: they believe it’s a solid measure of your ability to succeed in law school, and there are mountains of evidence to back that belief up. So thinking that time spent improving on the LSAT is time wasted ignores the central truth that becoming better at this test means crafting skills that will serve you well in law school and beyond. 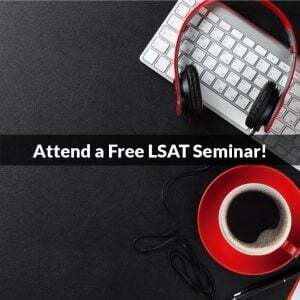 Even if the LSAT is behind you, the tools you used to beat it are still critically important. Image “Enless Stairs” courtesy of Caden Crawford.